A few moments before the Bitcoin Wednesday conference on 6 June 2018, CEO Paul Puey, creator of the Edge cryptocurrency wallet, spoke to Justin Bons of Cyber Capital, in an interview about his smartphone wallet application. 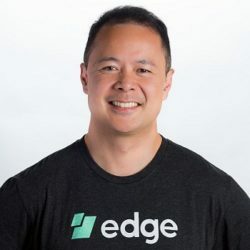 He talked about the technologies behind the Edge wallet, described its security aspects, and discussed collaborations with other decentralized solutions. When we launched Airbitz in 2014, we made sure we presented something as controllable, free of middlemen, and peer-to-peer as Bitcoin. Airbitz wallet, a previous version of Edge wallet, had all these things. 0:31 – How are the keys managed in the wallet? Who controls the keys for the users? 4:45 – How secure is Edge platform? How does it manage private keys? 9:18 – Do you have plans to integrate lightning nodes with Edge? 16:54 – Are there any particular projects Edge platform is working with?